This is an actual anchor from the days of fishermen in wooden ships. The massive anchor was hoisted by human powered wenches (not ones with billowy skirts). The monument honors those fishermen lost at sea. There is a plenty of room on the plaque for future casualties. 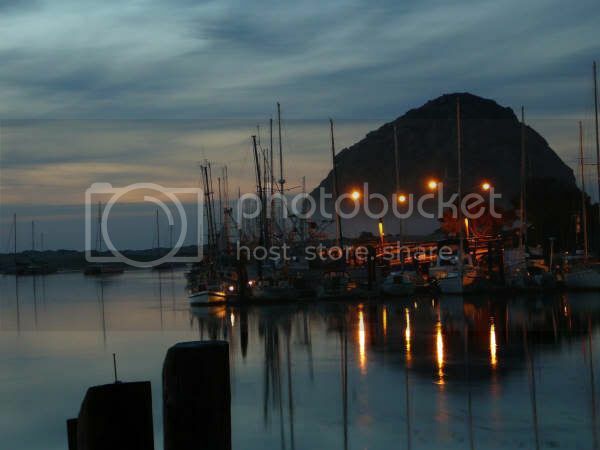 Morro Bay is no longer a fishing village. This isn't that funny Walt. We've been the best of friends for thirty five years . . . he has an enviable life style in this quaint central coast town. 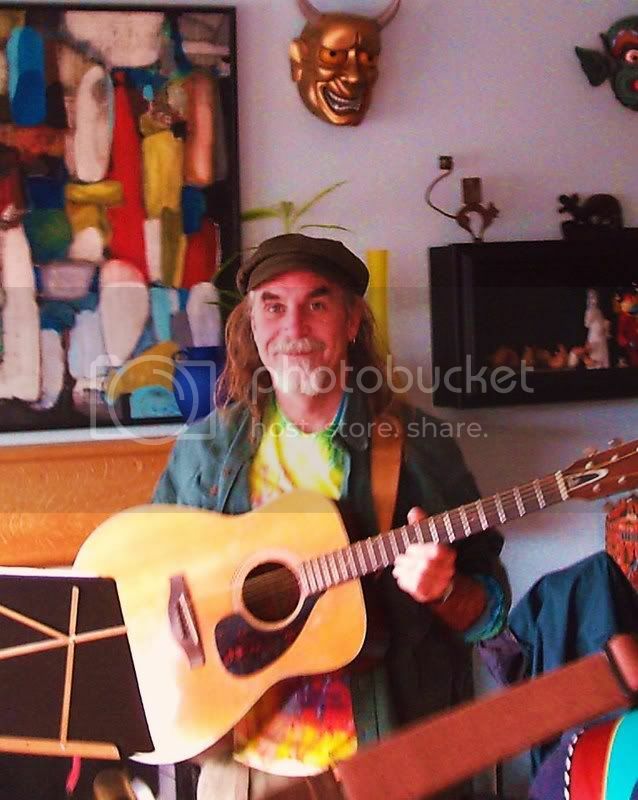 The good doctor Walt will be remembered for many things including being one of the first musicians to introduce the folk guitar to a genuine BALALAIKA band. Ethnomusicologists be damned. The Big Rock Balalaikas continue to grow in popularity. Well I guess we have a date December 2004 eight months into RanchoBozo.com hmmm . . . 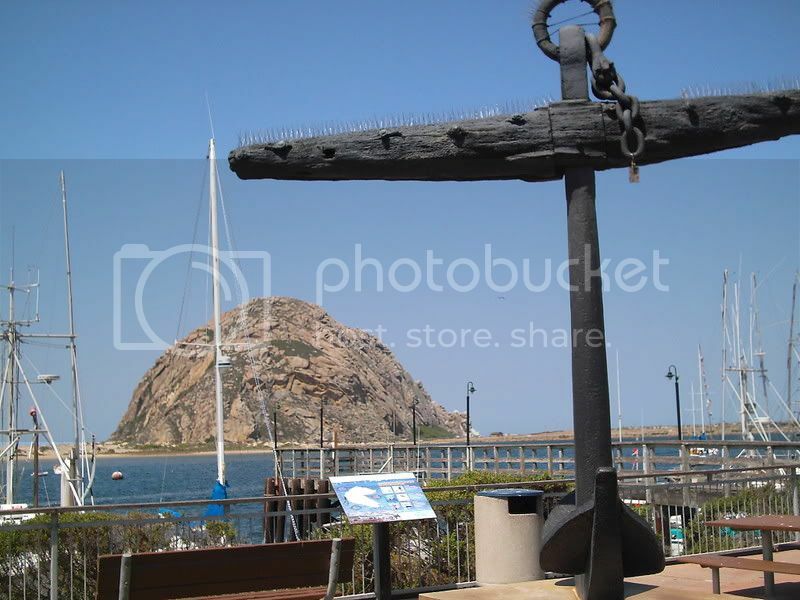 I recall a promotional tour to Morro Bay with the Grantster . 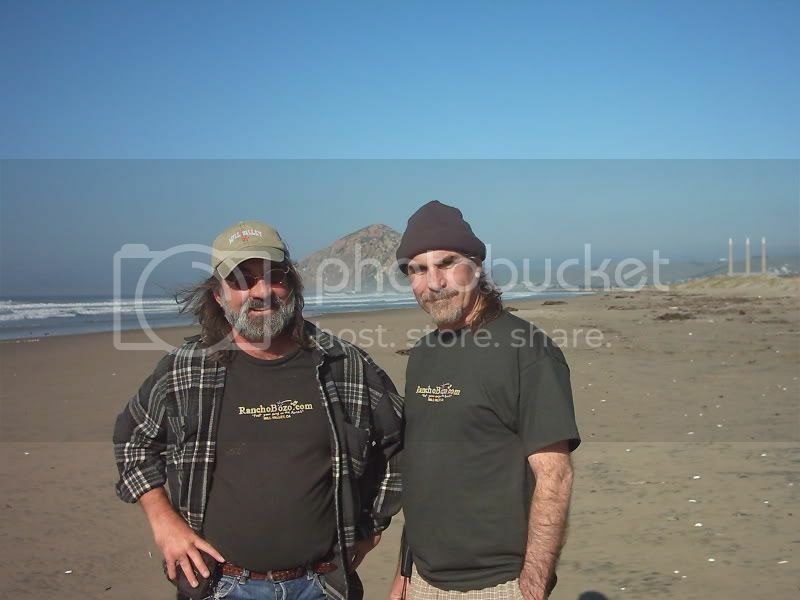 . . there is suppose to be a Morrow Bay Pics and Captions #2 here until those pics get in zope . . . . thanks Courtney and photobucket . . .
Morro Bay begs you to take a picture here and there . . . this promotional tour included the full compliment of RanchoBozo.com that is the Grantster and I hopped into my pick up truck and headed south for Morro Bay last December. On our way to the sandbar in a tiny infatable boat . . . . I know those (the stats reveal thousands) who have been visitors of RanchoBozo.com have wondered what this Grantster of Cyberspace looks like. 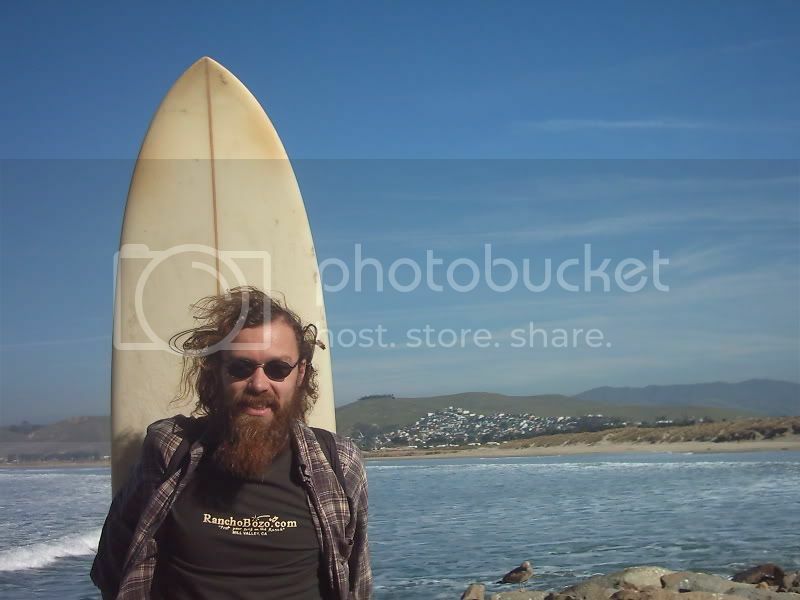 Here he is he's amazingly smart a really nice people loving dude and surfs! Captain Wayne-O and Dr. Dog Boy participate in the promotional tour by sporting the highly coveteted RanchoBozo.com T shirt . 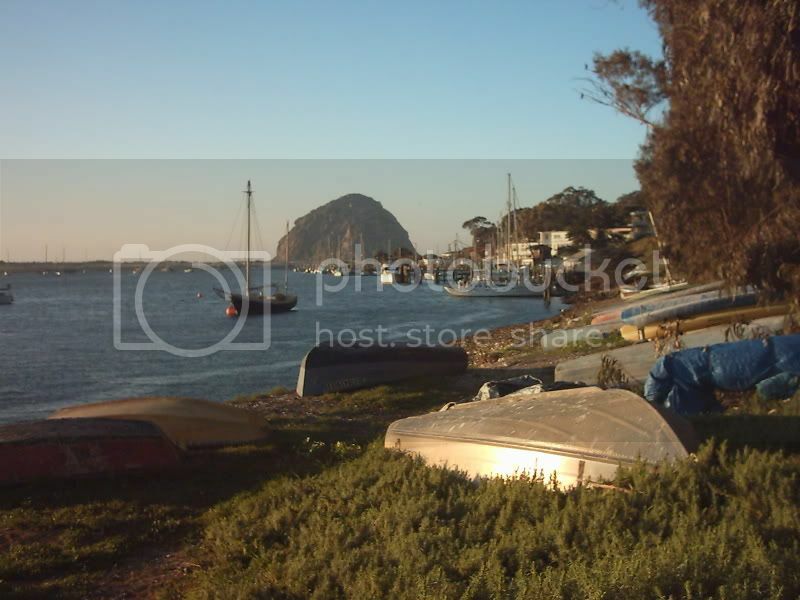 . . Morro Bay has the weather and natural beauty and yet is spared the droves of tourists . . .
Only a cell phone between the three castaways and civilization . . . what will become of Dr. Dogboy and Captain Wayne-O ? . . . What will become of the Grantster and his Cyberspace? 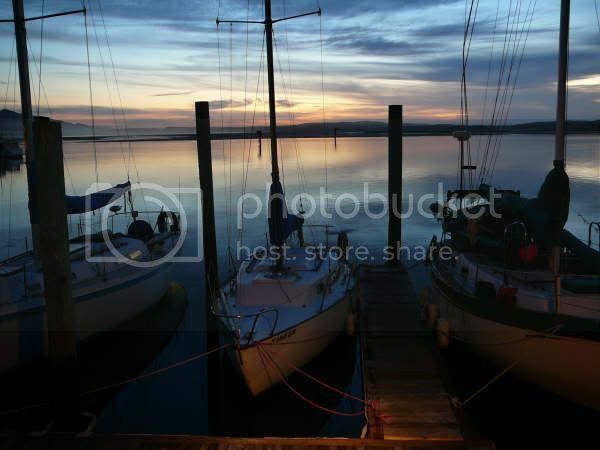 The Sloop jonBee is off on a lonely slip of the fuel dock an in it's place floats the Ruffian. 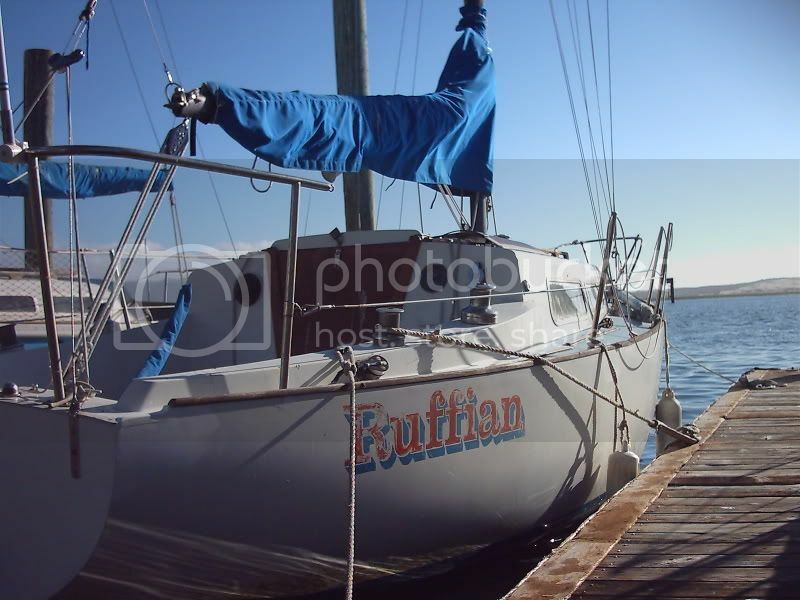 Captain Dog Boy's new sailing vessel is the Ruffian. The next time we'll take her out, aye Cappy?